If any of you are like me, a parent who has returned to do a “second round” at Punahou via your child(ren), then you know that there have been a few changes in the last 35 years. One of them is the doubling in size of the kindergarten class. 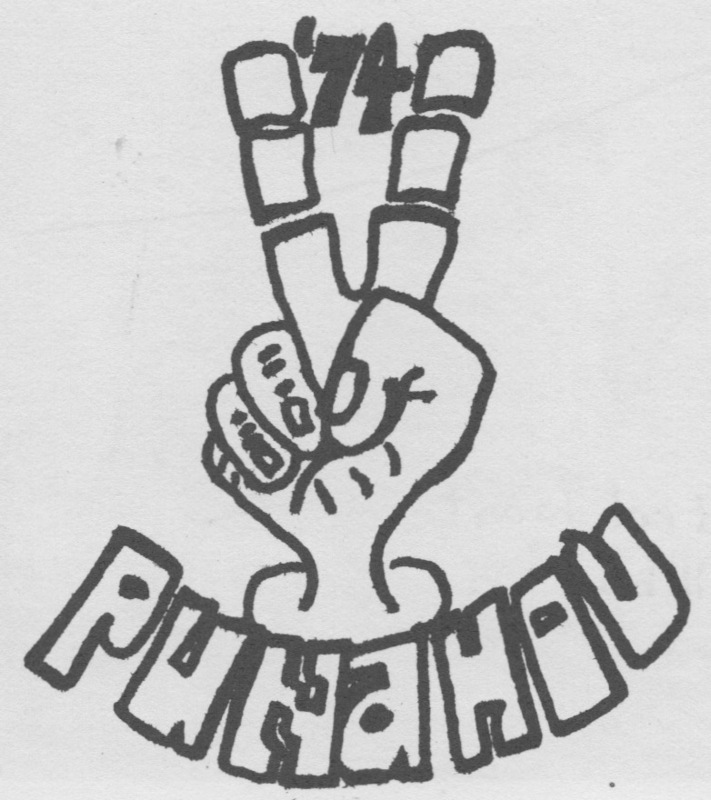 When the class of ’74 entered Punahou, we were but a mere 73 in number. This pales in comparison to the 150 who matriculate today. The ’61-’62 Kindergarten class of Miss Linton (left) and her assistant Mrs. Bush. 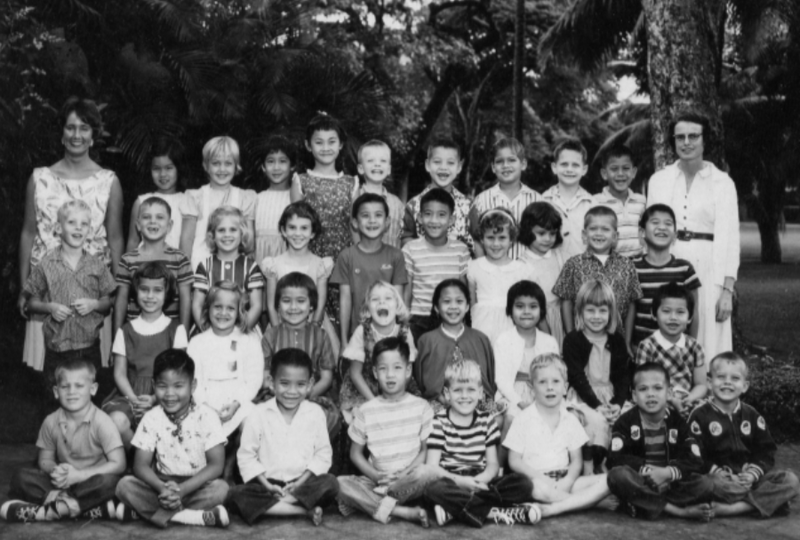 As another first for our class, we had a 13YC (Thirteen Year Club) photo in the Oahuan. How many were left after that sunny September day in 1961? By my count, 51 or 69.9%. Not bad for a nation where moving is almost a national sport. I have been fortunate to bump into some who left our class and are still in the area (e.g., Linda Sutton Torres, John Bowers) but still wonder what happened to some of the others. Virginia Chalmers, for example, was with us through ninth grade or so then disappeared. Punahou doesn’t have a record on her so I wonder how she is doing. There are others for whom I hold the same thoughts. Who were your classmates from day one? Take a look. Note: Bolded names are members of the class of ’74 13YC. There are others who were in the 13YC+ who started their Punahou sojurn with the class of ’73. Can you name them?